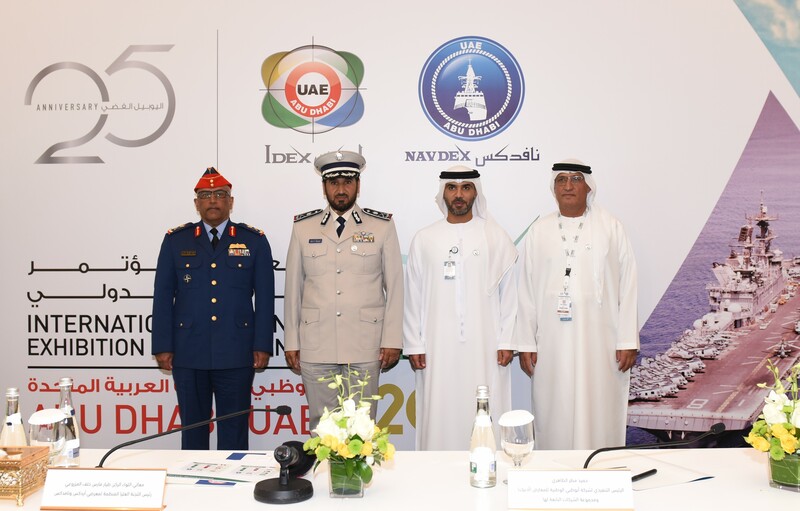 ABU DHABI, 11th February, 2019 (WAM) -- The upcoming editions of the International Defence Exhibition, IDEX, and Naval Defence, NAVDEX, held under the patronage of President His Highness Sheikh Khalifa bin Zayed Al Nahyan will run from 17th to 21st February at the Abu Dhabi National Exhibition Centre. 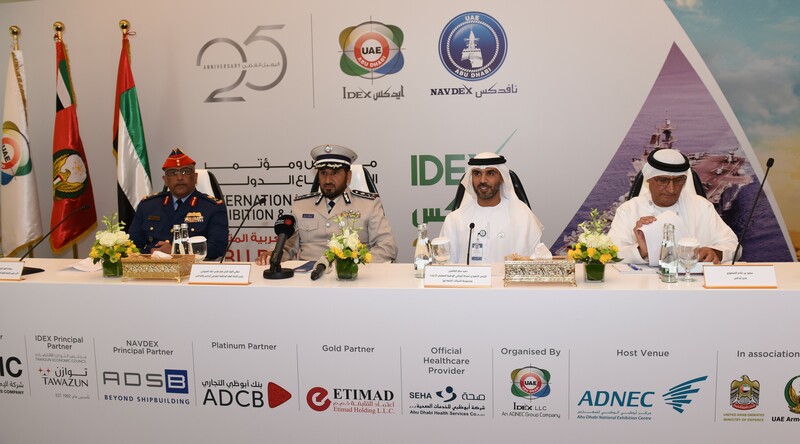 Al Mazrouei, said, "Patronised by key decision-makers, experts and specialists in the defence industries sector, IDEX in its 25-year anniversary is set to become one of the largest specialised exhibitions globally. To its credit, in a short period of time, NAVDEX has also proved its unique position among the world's leading exhibitions in the maritime defence industry. "Ahead of the two highly anticipated events, the International Defence Conference will take centre stage, bringing together prominent experts and military leaders to discuss important security and defence issues pertaining to the region and the world." Al Mazrouei added, "All these notable milestones are a result of the support of our wise leadership under President His Highness Sheikh Khalifa bin Zayed Al Nahyan, as well as His Highness Sheikh Mohammed bin Rashid Al Maktoum, Vice President, Prime Minister and Ruler of Dubai, His Highness Sheikh Mohammed bin Zayed bin Sultan Al Nahyan, Crown Prince of Abu Dhabi and Deputy Supreme Commander of the UAE Armed Forces, and Their Highnesses Supreme Council Members and Rulers of the Emirates." Al Balushi, said, "The three leading events, IDEX, NAVDEX and IDC, are being organised at a time when complex international and geopolitical conditions and changes are being imposed by 4IR, and the world is witnessing tremendous technological development. These dynamic shifts are prompting decision makers to revise traditional defence strategies and develop a new generation of security strategies." Al Dhaheri, said, "Over the past 25 years, the number of exhibitors frequenting IDEX has increased by 400 per cent, with the number of participating countries rising by 250 per cent over the same period. Visitor footfall rose by 500 per cent, while the show floor dedicated for the event has gone up by 900 per cent compared to the first edition in 1993." IDEX and NAVDEX will feature several new components in the upcoming edition, including an IDEX museum that details and celebrates the exhibition’s 25-year journey. For the first time, IDC will be combined with the Abu Dhabi International Offset Conference, ADIOC, with the aim of creating a comprehensive global forum covering all defence and security issues, as well as relevant innovations of the 4IR under the theme – "Shaping Our Shared Future: Strengthening Our Security and Prosperity through Innovation". This edition will also include a dedicated wing for Artificial Intelligence, focusing on advanced and smart systems participating at the exhibition.